I recently finished reading Autumn of the Patriarch by Gabriel Garcia Marquez, which features the longest run-on sentence I’ve ever read. It takes up the entire final chapter of the novel. It is 48 pages long. In Lorrie Moore’s novel A Gate at the Stairs, a student at the University of Wisconsin is smitten by an English professor who speaks “thrillingly of Henry James’ masturbation of the comma” during a lecture. Which raises the question: is Autumn of the Patriarch the greatest instance of literary onanism of all time? I once read a biography of Andrew Carnegie from which I learned that Carnegie only spent three hours a day actually working on his business activities in the steel industry. He spent the rest of the time writing, and longed for acceptance into a literary and political establishment he spent a considerable amount of time schmoozing. He published in newspapers and magazines, and wrote several books. The book he imagined as his crowning achievement claimed he could lead the way to a new era of harmonious relations between labor and management. 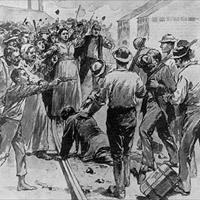 The release of this book and the claim it advanced were both undermined by the Homestead Strike of 1892, which the Pinkerton Army and the state militia successfully broke with a display of brute force that damaged Carnegie’s reputation in both public and literary circles in a way that haunted him for the rest of his life. Diaz, in an interview with Danticat, says that dictators like Carnegie know they don’t really cut it as writers, and that their rivals know it, too. “Many writers discern that this is ever the dictator’s weak point, like the missing scale on Smaug’s underbelly in The Hobbit .” The Autumn of the Patriarch shows that this jealousy is a two way street. The carnival of destruction and excess the “General of the Universe” leaves in his wake is incredibly inventive and intricate. The writing that presents it is gorgeous. Cows wander through the halls of the dictator’s palace. He fathers 5,000 illegitimate children, all of whom are runts born after a 7 month gestation. Their fate seems to be the inevitable result of having been conceived from the emissions of the General’s chronically herniated testicle, which crops up throughout the novel as a metaphor for the larger phenomenon of the General himself. 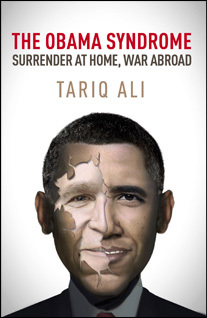 Despite the evident force of this criticism of both the US and their local henchman, a certain kind of admiration for both aggressors seems to ooze between the lines of every page. The narrator’s focus on the General is so tight that his criticisms start to sound like the frustrations of a jilted lover. He’s the only one who gets to observe the General as he lies down alone every night behind heavily locked doors. He seems drawn to repeat the image of how the General likes to sleep – on a stone floor with his uniform on, with only his right hand for a pillow. He won’t even take his spurs off. His privileged view of this scene is displayed as a badge of the intimate access that he has to his subject. The result at times seems to be a bizarre kind of identification, doubling and displacement, in which the narrator blurs into the dictator whose autumn he chronicles. That quote comes from an interview conducted during the presidency of George Bush II. During the campaign to replace him, I heard Danticat voice her admiration for Obama’s memoir Dreams From my Father. When I read the book around that time, I was taken back by the casual way in which he seemed able to toss off degrading dismissals of characters with mental illness. In the fanfare surrounding Obama’s election, it was hard to hold on to the doubts about his judgment these passages raised. But in the wake of this administration’s escalation of drone warfare that kills bystanders in central Asia every day, and the decision earlier this week to authorize indefinite detention of Americans without trial, I thought back to the ability to insulate oneself from the suffering of others that characterized the way Dreams of my Father lumped a mentally ill man Obama passed on the street in Kenya together with criminals, (p. 311) and stigmatized a classmate from his childhood in Hawaii who ended up “in a funny farm.” (p 94.) I wondered whether Danticat’s characterization of a US public and literary establishment who fail to pick up on clues of dictatorship might be more relevant today than one would hope. John Darnielle has recently said that the new detention authorization essentially gives away “the whole enchilada,” and legalizes a type of behavior we formerly recognized as Stalinism. He wrote that the only decision he could make after that was to resolve not to give money to or vote for the Democratic Party until they reverse their position on this issue. I’m not sure I won’t vote for Obama – whom I shouldn’t single out so personally, it’s really more an expression of larger blocks of power – but if I do, I won’t feel happy about it. 05 Jan	This entry was published on January 5, 2012 at 4:37 am and is filed under Anti-Neoliberalism, Book Reviews, History, Politics. Bookmark the permalink. Follow any comments here with the RSS feed for this post.